It's hard to believe, but Walt Disney Animation Studios' 50th animated feature is just right around the corner. Those of you watching the World of Color show over in Disney California Adventure will soon notice the inclusion of this latest princess during the show. So Rapunzel will join the other princesses in the water show? Cool, another reason to see it again. I like how they seem to be continually changing it up with Tron and other things. It seems that they'll keep it fresh like this. there are some truly beautiful moments in the film that would work very well in world of color. look forward to it. the only shame however is disney seems to be doing it's best to hide the fact that this is a musical. the soundtrack isn't even featured in itunes. 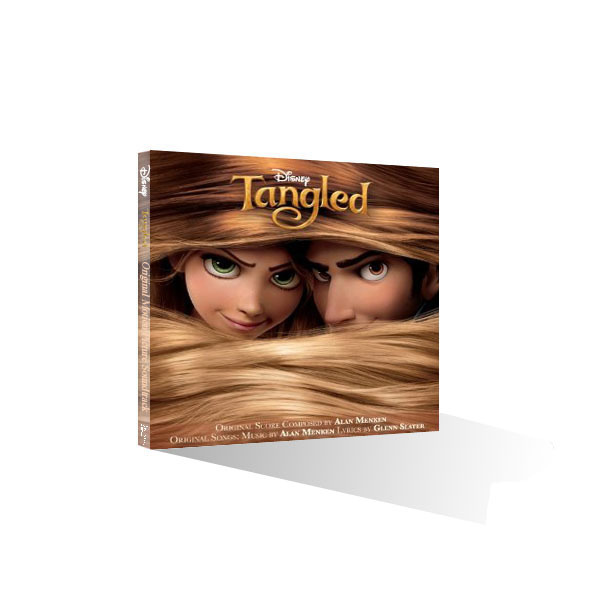 you have to search tangled to find it. Ordered from Amazon, thanks for the alert. It's their 50th one? Wow... I didn't know that. Course, I do know that I don't have much interest in seeing Tangled in theaters. Probably will on DVD, though, it did look funny despite the fact that it's one of those "fairy-tale/princess" flicks that I'm getting rather tired of. I'm getting rather tired of Darrell.